Apple has published a list of the top 25 iOS apps impacted by China's XcodeGhost hack, the next step in a continued effort to rid infected devices of tainted software distributed through the iOS App Store. In posting the app list to its XcodeGhost FAQ on Thursday, Apple intends to stamp out remaining copies of malware users might have inadvertently downloaded over the weekend. The company urges customers to update impacted apps immediately, noting titles not currently on the App Store should return soon. "After the top 25 impacted apps, the number of impacted users drops significantly," Apple says, adding that it is working directly with developers to get affected apps back up for download. The XcodeGhost exploit was outed on Monday as a rogue version of Apple's official Xcode development software, deployed by an unknown party to surreptitiously infect legitimate apps and mine user data. Developers unwittingly installed and used the modified Xcode version to write and upload apps to the App Store. At the time, Apple did not host an official copy of its development software on Chinese servers, meaning Mac App Store versions were much slower to download than those offered through local channels. As a workaround, some developers opted to download Xcode from local providers outside of Apple's purview. In this case, XcodeGhost was allowed to proliferate by masquerading as a legitimate copy of Xcode on cloud storage servers run by Baidu. All known instances of XcodeGhost have since been removed, while Apple has promised to host Xcode on Chinese servers. 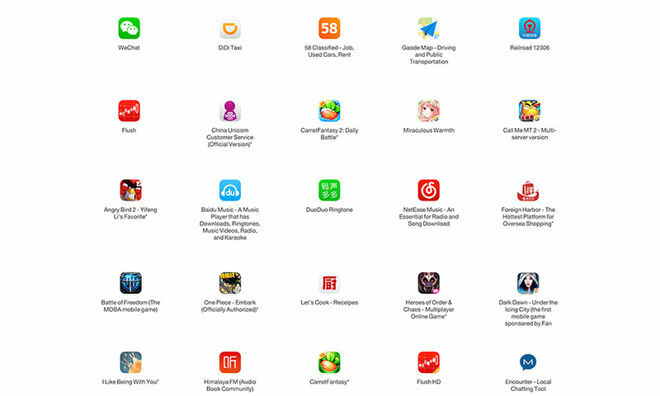 Apple also wiped the App Store of offending apps and is currently blocking submissions containing the malware.